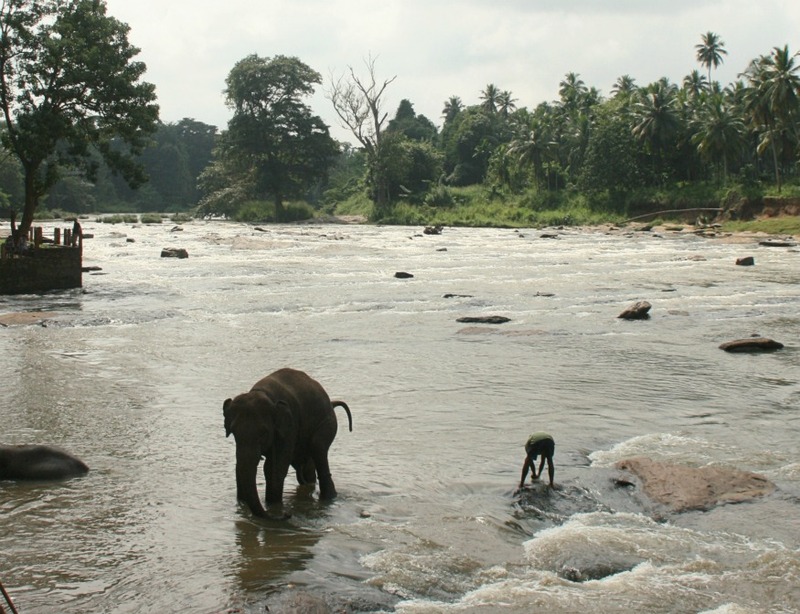 An elephant and it's trainer at the Maha Oya river in Pinnawala. It was out first day in Srilanka, and we were just getting accustomed to the strong sunlight and heat out there. Although a dip was extremely inviting, it didn't seem like a good idea, given the markings on the rocky shore restricting entry into the water. And the 30 or more elephants bathing together in the water was another hint as to why it would've been a bad idea. Needless to say, we returned without a dip amidst the giants. Would've been one hell of an experience though!